Thanks! I take back what I said about Japan. One other issue to watch out for is the DVD region codes. 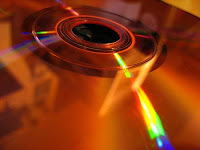 Most DVDs created in the US are designed not to work in players sold elsewhere (not due to technical limitations, but because media companies think they can make more money that way). If you are shipping internationally, you might want to check if the discs you send are region-free. NTSC vs PAL is really only an issue for VHS tapes and broadcast TV, as the other commenter said, region coding is what makes things difficult. Most computers let you choose your regions and some DVD players are now region-free. the box that refuses to play NTSC should be junked asap, because it has outlived itself five times over. Not your fault! All self-respecting players read NTSC and convert to PAL (or SECAM, for the French) for the TV. However, the region restrictions are more of a trouble. Better make sure the dvd is region free. Not everybody googles and finds remote control service codes to convert their box to an all-region one. Well, my xmas-bonus wasn't as big as it usually is, but I feel compelled to donate anyway. I got my two DVD's in the mail the other day, Well done! And I sent you a little something by Paypal for all that you do for us, the unwashed masses. Keep up the good work, and as someone else already said, cassoulet! cassoulet! Im sure these will atlest work on the individual's computers. Thanks for all your support! as well as the rest of you who have chimed in. I do have to disagree with the unwashed masses comment - I've heard that several members of the Food Wish community bath regularly! Recieved my copy today! I have been waiting for this day to come..! Greek Grape Leaf Wreath - Festive and Filling!